There are many species of Golden Drop found throughout the Mediterranean region, some with larger flowers than others. The one thing they all have in common is their bristly, hairy appearance. The hairs are so dense that they give the plants an overall greyish appearance. Ononsma graecum, a member of the Borage family, occurs in Crete, on the southern Aegean islands and in southern Greece. 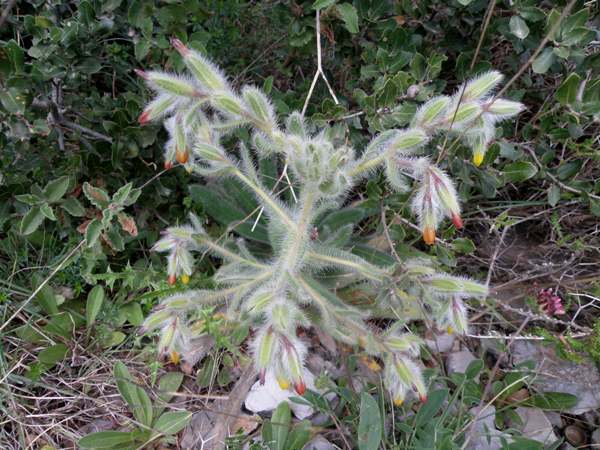 Like the other Onosma species, it grows fairly high up in the hills in rocky and stony places. 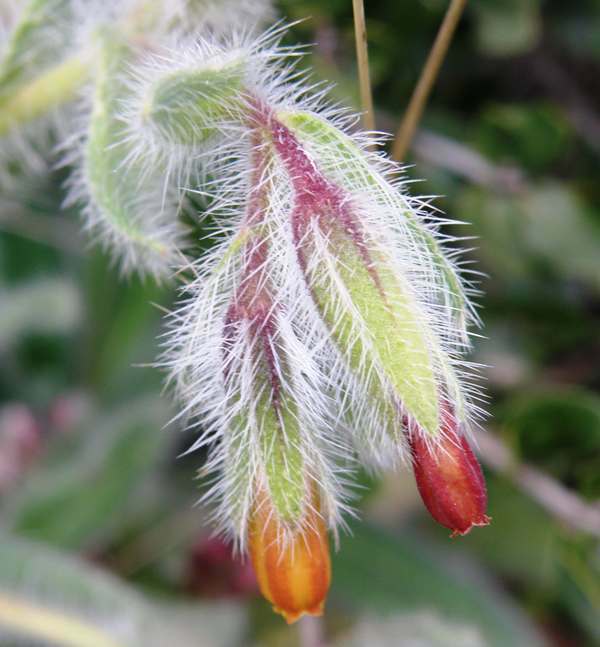 Despite the hairy nature of the plant, it really is a most attractive wildflower with its cascades of red-to-gold flowers that appear from the end of March until the beginning of June.